We are pleased to announce our partnership with SIMON. SIMON is a not-for-profit Learning Management System, built by teachers, for teachers. It currently services over 65,000 primary and secondary students in Victoria and South Australia. 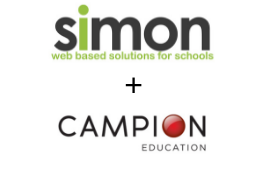 As a result of this partnership, schools who use SIMON can now access their digital resources in their lesson plans and classes via Campion MyConnect. “Our whole approach is about making it easy for both students and teaching staff to access the resources they need, so that they can focus on their learning outcomes,” says Kevin Brodie, SIMON General Manager. “It made perfect sense for us to partner with Campion Education. They are Australia’s largest distributor for digital curriculum resources. Working together allows us to extend the value we offer schools and the greater SIMON Community,” he says. Carlo Matthyssen, General Manager of eLearning at Campion agrees that the partnership benefits teaching staff and students alike. “Teachers and students need seamless access to digital resources in the classroom, so that they can get the most out of their teaching and learning time” he says. “SIMON understands that completely. It’s great to be making digital learning easier for schools to implement by working with them,” he says.